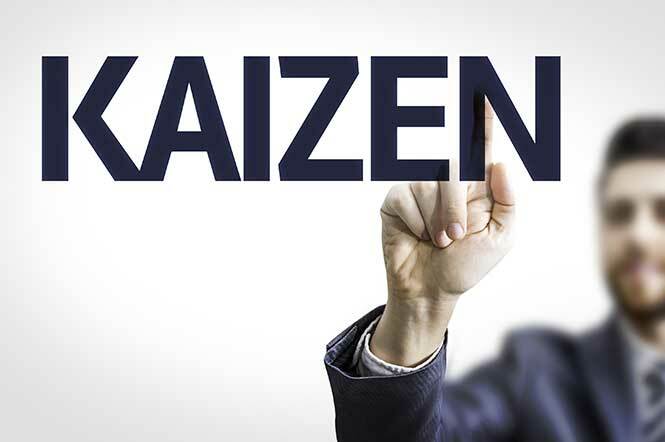 Workforce Management Solutions: What is Kaizen? Many people are surprised by how strongly modern businesses are sometimes governed by relatively old principles and philosophies. One of the most prominent of these concepts that has helped many businesses attain high levels of success is Kaizen. The word Kaizen comes from two Japanese words: “Kai” meaning change, and “Zen” meaning good. The basic definition of Kaizen is to continuously change your processes for the better so that the desired outcomes steadily increase. Kaizen was first introduced to Japan in the early 1950s, after World War II had left the country damaged and in need of rebuilding. Dr. William Edwards Deming was the first to introduce the Japanese to this concept. In 1960, Japan’s emperor awarded the Second Order Medal of the Sacred Treasure for teaching leaders in management and engineering methods of managing quality. Decades later in 1986, Japanese author Masaaki Imai published a book titled Kaizen: The Key to Japan’s Competitive Success. It was this book that helped popularize Kaizen in the western world. It is these principles that have allowed many companies to reach success in their industry. All types of organizations across several fields have used the Kaizen principles to improve their procedures and better satisfy their customers. One of the most prominent examples of the use of Kaizen can be found from the Japanese automaker Toyota. The Houston Chronicle reported that Toyota includes cords on its production line that allow any employee to bring the entire line to a halt to fix a problem. At company meetings, anyone is allowed to speak up and share insights about how they think company processes can be fixed. Another major example of a company using Kaizen is Sony. According to news reports, a Sony plant in Indiana used to require 13 operators to produce 369 products every man-hour. Because of Kaizen, Sony was able to pare that number down to just three operators producing a whopping 2,715 products per man-hour. These are just two major examples of how Kaizen can improve processes at companies in different industries. Since its creation and spread a few decades ago, Kaizen is now considered one of the most influential strategies for management and leadership. Adopting Kaizen, if executed properly, will undoubtedly help your company improve production and make your employees happier, since they will have more autonomy when it comes to the way that they work.